Excitement is building as young ladies from all over the premier county aim to follow in 2017 Tipp Rose Sheila Ryan's footsteps and become the 2018 Tipperary Rose of Tralee. The Tipperary Rose Of Tralee Centre is proud to present the “2018 Tipperery Rose of Tralee Gala selection” on Saturday, 31st March at the Anner Hotel, Thurles. Doors open at 7:30pm. 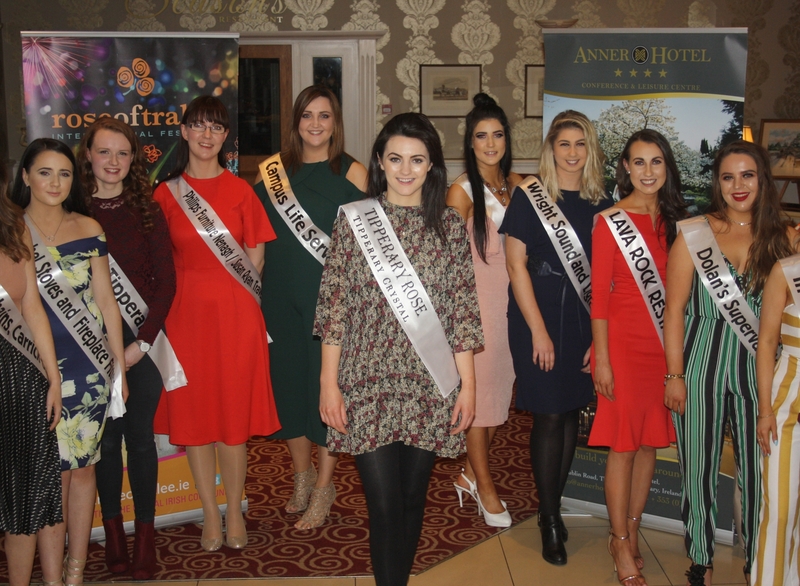 The chosen representative will receive a collection of prizes, and will represent County Tipperary in the extended International Rose of Tralee festival this August. We would really like to extend a thank you to those who helped rally the ladies to enter but now with a large amount of contestants and all areas of the county being represented we ask you again to make sure and come support your local lady with a full night of entertainment while getting a taste of what you see on TV in August . MC on the night will be well known presenter Ollie Turner and it promises to be a great night out with the best Banner in the Room competition for all the supporters, along with supporting entertainment, Charity Raffle in aid of Pieta House and much more – all of which will guarantee a smile on every attendee’s face. Following last year’s sell out success tickets are selling fast this year and are on sale from your local Rose and by popping in to The Anner Hotel, Thurles, right now and will hopefully be available on the door on the night and remember bring those banners and a big sense of fun. For more info email Tipperaryrose@gmail.com or find us on our face book page “tipperary.rosecentre"